Government support for alternative fuels isn’t just for electric vehicles. Claire Johnson is CEO of Hydrogen Mobility Australia and nominates several projects that local, state and federal governments are working with industry to support the growth of hydrogen powered vehicles. “Hydrogen powered vehicles are essentially electric vehicles using hydrogen to create the electricity. The main different is the extended range, which can be as much as 800 kilometres, and the refuelling time of three to four minutes”, says Johnson. “We’re working with government to take a technology neutral approach and place the focus on low emission transport which includes forklifts and heavy vehicles”. “The initial uptake of fuel cell vehicles in Australia is likely to be seen in the fleet space through back to base models with hydrogen production and refuelling on site”, confirms Johnson. “Some of activity by governments include the federal government ministerial forum into vehicle emissions which includes encouraging the uptake of low emissions vehicles and the required infrastructure. The project by the City of Moreland to convert 12 rubbish trucks to hydrogen and build a refuelling station. 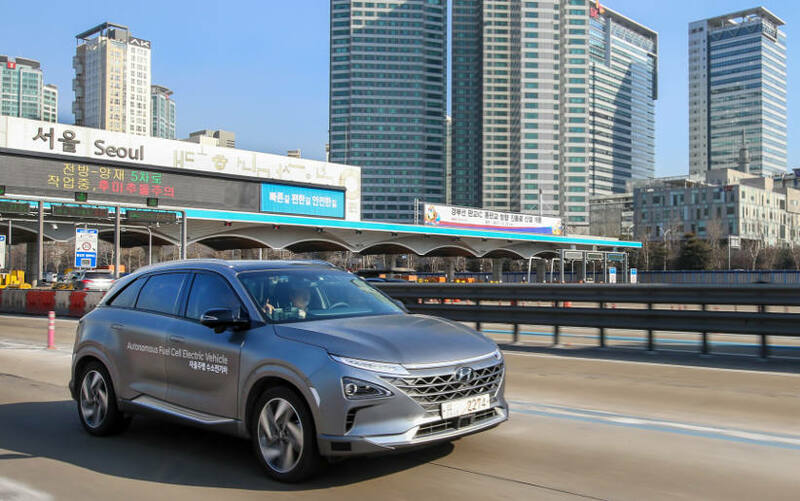 In South Australia the government has issued a tender for six hydrogen buses and the ACT government is investing in a refuelling station for their purchase of 20 Hyundai NEXO hydrogen powered vehicles”.